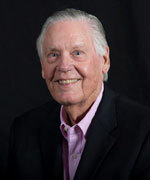 Bob Ryan, noted sports columnist for the Boston Globe recently ripped the National Collegiate Athletic Association for considering University of Georgia president Michael Adams as CEO of that organization to succeed the late Myles Brand, saying it would be a “colossal mistake.” The NCAA search is being conducted by Parker Executive Search of Atlanta, the same firm that recommended Adams for the UGA job. Ryan cites examples from the late investigative reporter Richard Whitt’s book, “Behind the Hedges: Big Money and Power Politics at the University of Georgia (NewSouth Books, Montgomery, Ala.), which has been roundly pooh-poohed by the university and generally ignored by the state’s media. The book delves into issues involving Adams’ controversial (my understatement of the year) reign as president and contains a copy of a DeLoitte & Touche audit alleging financial misdeeds and other assorted egregious activities. The audit was commissioned by the University of Georgia Foundation, the university’s private fund-raising arm. The release of the audit findings was poorly managed by those trying to get the word out. The UGA Foundation naively thought the Board of Regents would find the audit of material interest. Enter political reality. The regents, a bunch of political appointees including the aforementioned Donald Leeburn who jealously guard their power, gave the foundation the back of its hand and summarily dismissed the report and severed the university’s ties with the half-billion dollar organization. AJC Sports Columnist Mark Bradley ran Ryan’s column and the Globe editorial on his blog with a strangely tepid defense of Adams. He says why not also blame former basketball coach Dennis Felton and current AD Damon Evans for the low graduation rates? I guess Bradley has never heard of CEOs. That is where the buck stops. Adams has been quoted as saying he is not a serious candidate for the NCAA job and plans to stay at UGA until his retirement. If that is so — and with Michael Adams you never know — Bob Ryan just made that decision much easier for him and for the NCAA.